The first and only full-length feature by Hayao Miyazaki’s protégé, Yoshifumi Kondo. The first and only full-length feature by Hayao Miyazaki’s protégé, Yoshifumi Kondo. Whisper of the Heart follows the story of teenage bookworm Shizuku who is struggling to find out who she is as she approaches the last summer of junior high school. Energetic and free-spirited, she harbours ambitions to write. But Shizuku is a voracious reader and plans on using the library to read away the summer vacation. When she finds that the same mystery borrower has got to every book before her, she meets Seiji, a trainee violin-maker who challenges her to stop reading and start writing. About the awakening of creative talent, Whisper of the Heart was the first and only full-length feature by Hayao Miyazaki’s protégé Yoshifumi Kondo before his sudden death at the young age of 47. Whisper of the Heart follows the story of teenage bookworm Shizuku who is struggling to find out who she is as she approaches the last summer of junior high school. Energetic and free-spirited, she harbours ambitions to write. But Shizuku is a voracious reader and plans on using the library to read away the summer vacation. When she finds that the same mystery borrower has got to every book before her, she meets Seiji, a trainee violin-maker who challenges her to stop reading and start writing. 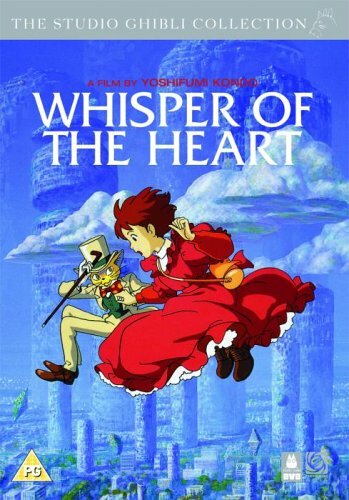 About the awakening of creative talent, Whisper of the Heart was the first and only full-length feature by Hayao Miyazaki’s protégé Yoshifumi Kondo before his sudden death at the young age of 47.